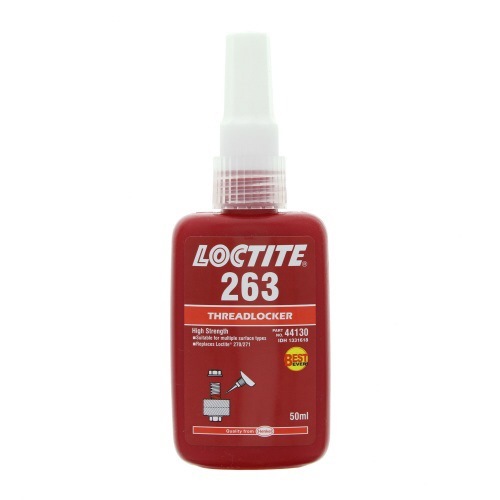 LOCTITE® 263™ is designed for the permanent locking and sealing of threaded fasteners. LOCTITE® 263™ is particularly suited for heavy duty applications such as studs into motor housings, nuts onto studs in pump housings and other fasteners where high strength is required. LOCTITE® 263™ provides robust curing performance.